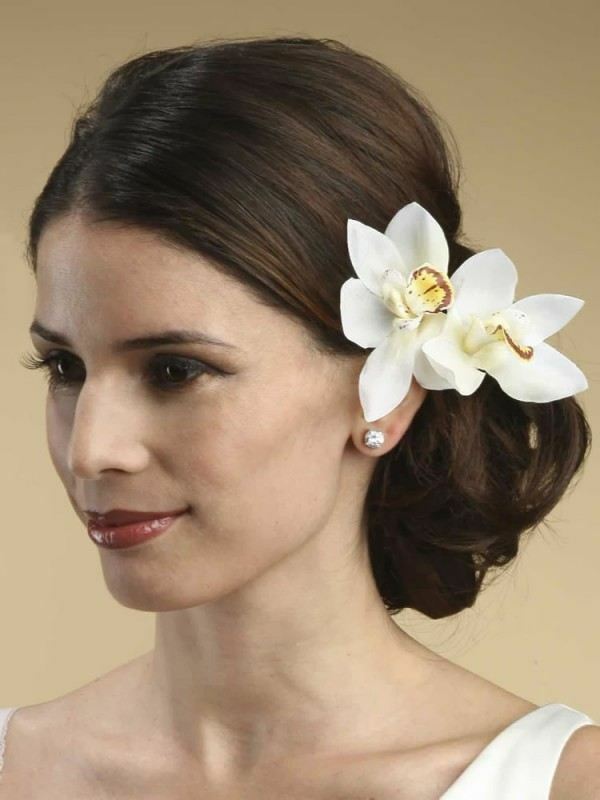 LosHairos.com » Women’s hairstyles » Wedding hairstyles » Which wedding hairstyles with flowers are trendy? 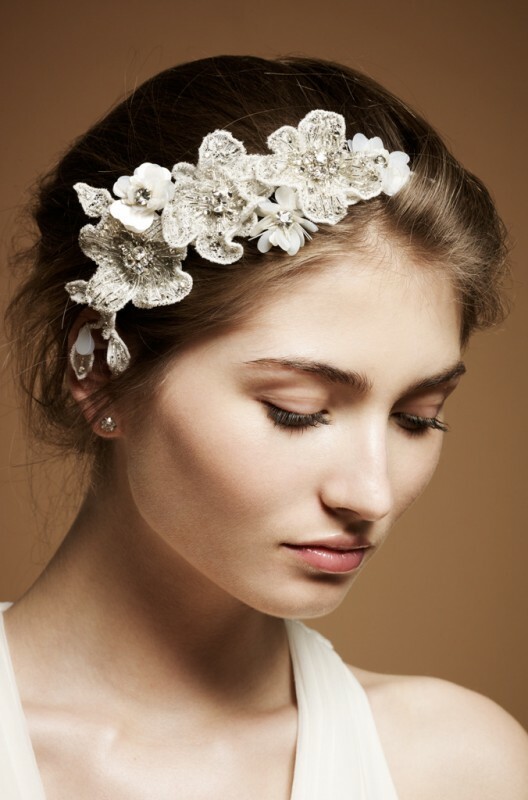 Which wedding hairstyles with flowers are trendy? Wedding is always a big event, even if you have only 10 guests. Not to mention, if there are more than 100. Every bride wants to look brilliant and certainly does not want to be overshined by her bridesmaid in any aspect. A good way to stand out is a nice hairstyle. We create for you wedding hairstyles category, where you can find inspiration to made original, high quality and beautiful wedding hairstyles. This article is about wedding hairstyles with flowers. If you are a woman who loves nature or if you like flowers, wedding hairstyles with flowers from our gallery give you an addition of beauty and self-confidence, a touch of mystery, and if the flower will look really interesting and exotic, everyone will ask about it. 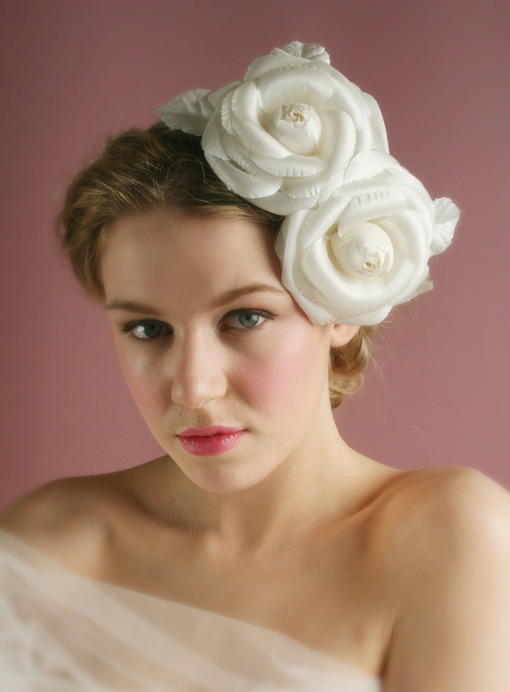 Standard type of wedding hair flower is the white one. It fits your dress, is not too extravagant, and yet interesting. You can choose from fresh flowers (e.g. alstromeria, mini rose, amaryllis) or artificial flowers. Fresh flower weighs more and is difficult to clamp, but it is more natural and beautiful than artificial. On the other hand, artificial flower is lighter, keeps well and therefore can be greater. If one flower is not enough for you, you can use two. Two flowers are most suitable to clamp to each side of your head/hairstyle or somewhere up in the hair. From fresh flowers we recommend you Cymbidium or hibiscus, because they are lightweight and have a beautiful color. Cymbidium is an orchid and if has outer petals white, the center is variegated. It works well and draws attention to the hairstyle. Several flowers in hair really allows extremely large number of combinations of hairstyles, form size, type of flowers, placement to paint, etc. Now, you can use different color than white, such as pastel shades of pink, brown, light blue and so on. Imagination and creativity has no limits. 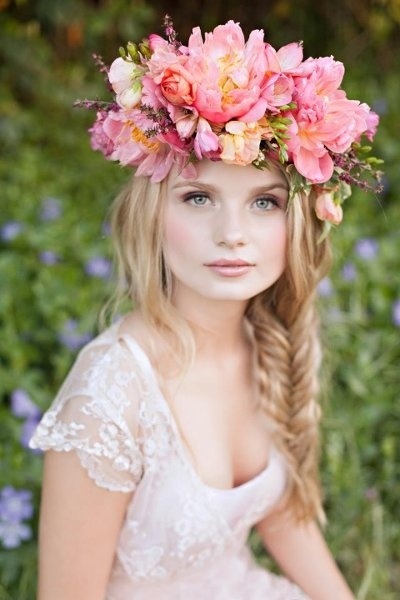 Get inspiration in the gallery “wedding hairstyles with flowers“. Which one do you like the best? 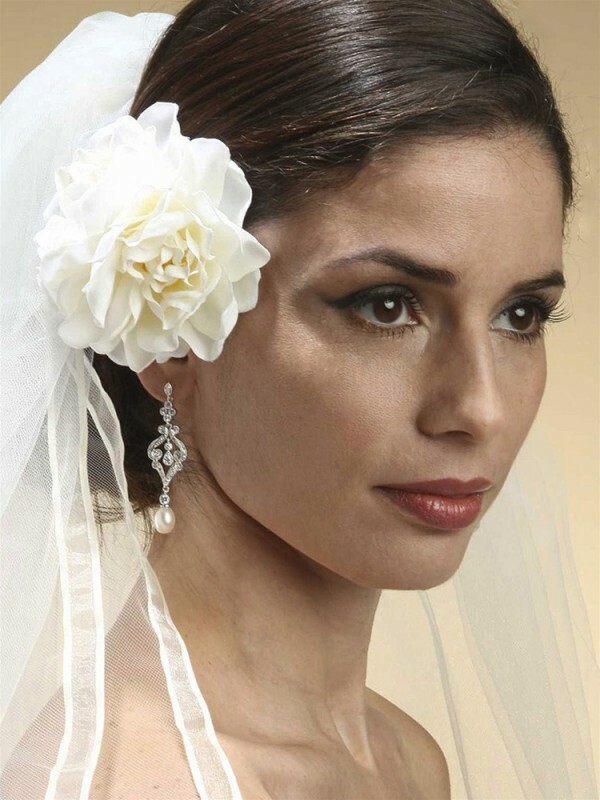 This entry was posted in Wedding hairstyles by michalman. Bookmark the permalink.